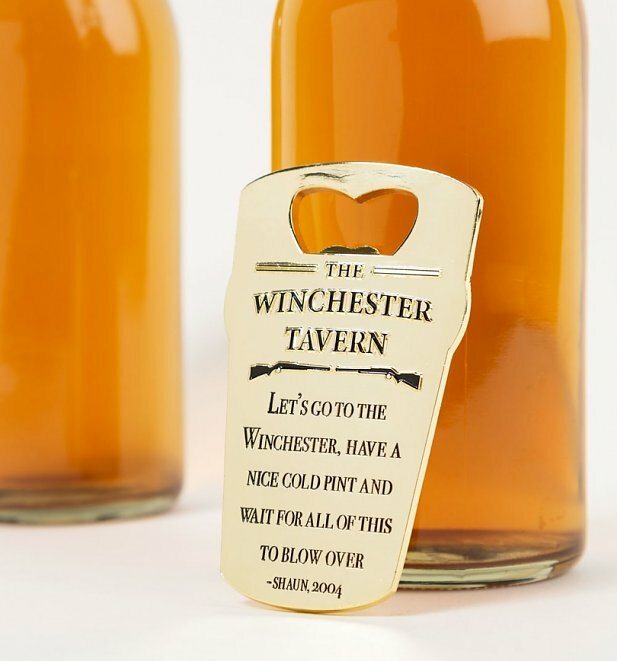 Starring comedy duo Simon Pegg and Nick Frost, Shaun Of The Dead referenced many cult horror movies, definitely one for the geeks! 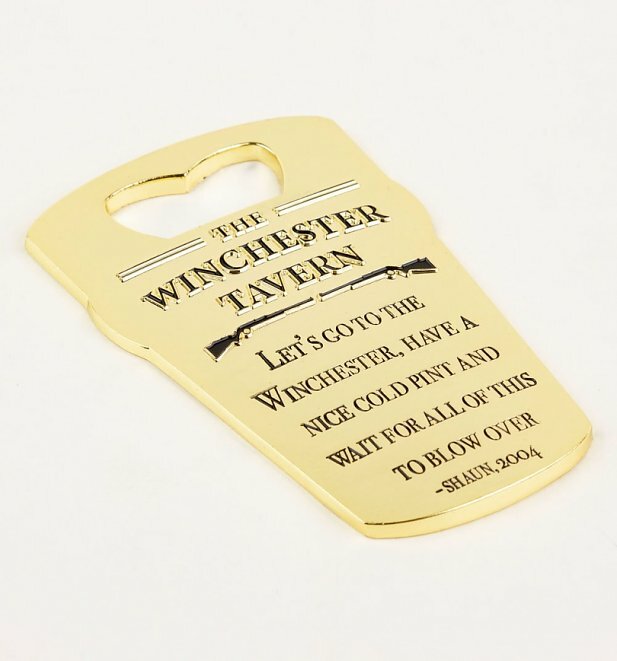 With the classic Shaun quote 'Let's go to the Winchester, have a nice cold pint and wait for all of this to blow over' engraved onto this pint shaped bottle opener, any fan of the zombie genre will be impressed with this quirky find. Review: Larger and heavier than expected but better to be sturdy than flimsy.